A British lawmaker says he believes the Israeli regime was the main culprit behind killing hundreds of civilians in Syria, because it provided terrorist groups affiliated with al-Qaeda with chemical weapons they used against civilians. 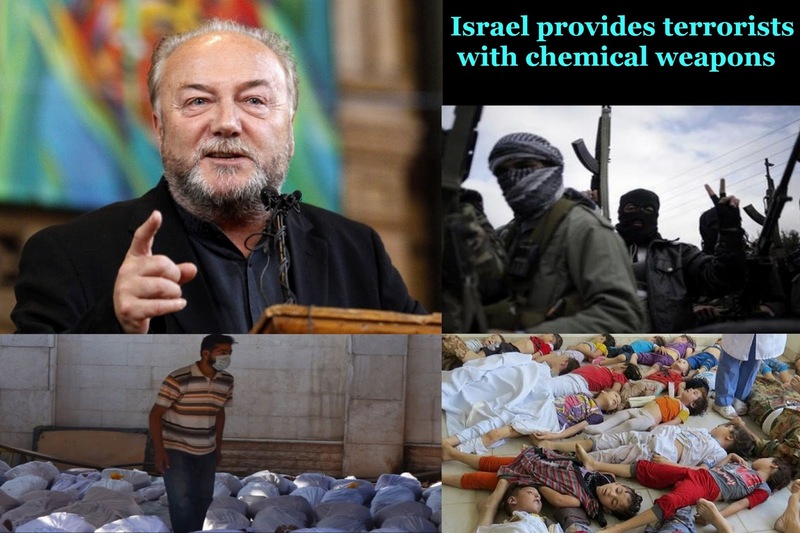 “If there’s been any use of nerve gas, it’s the rebels that used it...If there has been use of chemical weapons, it was Al Qaeda who used the chemical weapons”, said Respect Party MP for Bradford West, George Galloway. “Who gave Al Qaeda the chemical weapons? Here’s my theory: Israel gave them the chemical weapons”, Galloway MP added. Meanwhile, media reports had it that Qatar’s Al Jazeera TV and Reuters news agency published the news of massacre in East Ghouta, Damascus “one day” before the massacre happened. According to the reports tens of videos were uploaded before foreign-backed terrorists announced and accused the Syrian government of conducting chemical attacks on its own people. Those evidences show the terrorists massacred people, including women and children, then recorded and uploaded the scenes to deceive the world’s public opinion, but they did so hurriedly and gave themselves up. The question here is why the Syrian government and its army should have committed such a heinous mass murder using chemical weapons when the United Nations inspectors are visiting the country to investigate the use of such weapons? The foreign-backed terrorists and mercenaries hired by certain regional Arab countries are making up those allegations against the popular government of President Bashar al Assad to invoke a foreign armed intervention in Syria the same as what they did in Libya. Qatar’s Al Jazeera TV published the news of the alleged chemical weapons attack by the Syrian army, citing unknown activists as its source. At the same time, one of the well-known pro- terrorists’ Youtube account ‘SHAMSNN’ swiftly uploaded tens of videos between 03: 00 and 04: 00 am, 20 August. The same people behind all these scenarios accused the government of Syria and its army of carrying out chemical attacks on 21 August. 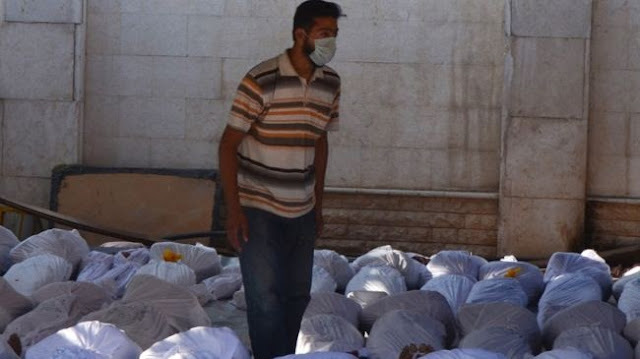 Now, even if the chemical attacks had happened at 03:30 on 20 August, it’s not possible to film the scenes and upload tens of videos of these heinous crimes with the best quality pictures. Therefore, all the evidence shows is that foreign-backed terrorists perpetrated the crimes, filmed and uploaded the scenes and went to their mouthpieces such as al Jazeera, al-Arabiya, Sky News and Reuters to accuse the Syrian government of a massacre the terrorists did. Another best evidence of such brutality by the terrorists, who are regularly coming close to their end of life, is that they had gathered innocent civilians including women and children into certain places, killed them by nerve gas and filmed the brutal murder scenes, then they did what they were ordered to accuse the Syrian government. Syrian Information Minister Omran al-Zoubi highlighted certain countries’ hostile stance towards his country telling the world that a media and political campaign of lies is being circulated by certain Arab and foreign media outlets including al-Jazeera, al-Arabiya, Sky News and others which are involved in the shedding of Syrian blood and supporting terrorism, with the objective of distracting the UN committee of inspectors of its mission to investigate which party to the conflict has used chemical weapons. “The cries of terrorists and their calls for aid accompany the fact that the Armed Forces are advancing on the ground, and also accompany the fabricated campaign waged by some channels in desperate bid to imbue false morale in the armed terrorist groups,” he said. Omran al-Zoubi described the support by some Arabs and the so-called Arab League for these allegations as ridiculous, naïve and illogical. Russia has accused Syria's opposition of preventing an objective investigation into an alleged chemical attack near the capital, Damascus. Russian Foreign Ministry said on Friday that by remaining silent and refusing to guarantee safe access for the UN investigators to the alleged place of the chemical attack, the opposition is directly preventing a probe into the incident, Reuters reported. "Much needed signals from the opposition, including its readiness to guarantee the safety and effective work of UN experts on territory controlled by militants, unfortunately are not forthcoming," the ministry said in a statement, adding, "It is directly preventing an objective investigation into the possible use of chemical weapons in Syria." On Wednesday, Syria's opposition claimed that hundreds were killed in a government chemical attack on militant strongholds in Damascus suburbs of Ain Tarma, Zamalka and Jobar before dawn. Head of Syria's opposition National Coalition, George Sabra, told reporters in Istanbul that more than 1,300 people were killed in the alleged attack. The Syrian army has vehemently denied allegations that it used chemical weapons against Takfiri militants in the suburbs of the Ghouta region, saying the accusations were fabricated to distract the visiting team of UN chemical weapons experts and to cover up militant losses. The UN investigators are staying at a hotel just a few kilometers away from the site of the attack. They arrived in Syria on Sunday. In March, dozens of people were killed in a chemical attack in the northern province of Aleppo. A Russian-led inquiry said that militants were behind the deadly attack. “We will ensure the safety of the U.N. team ... It is critical that those inspectors get there within 48 hours,” Khaled Saleh, spokesman for the opposition, told a news conference in Istanbul. The UN inspectors requested access to Damascus suburbs “without delays” on Thursday in order to investigate the alleged use of chemical weapons in attacks in the country. The statement was made the day after a gas attack was reported by opposition activists in the capital killing anywhere between ‘dozens’ to ‘1,300’, according to conflicting reports. The Syrian government said on Thursday that it was ready to engage in “maximum” cooperation with UN experts, according to Russia’s foreign ministry. Around 13 different reports of alleged chemical weapons usage in Syria have been made to the UN, and the sites are being examined in order to determine the responsible parties in the alleged attacks. Russia provided the UN with an analysis of samples taken from western Aleppo in Khan al-Assal. 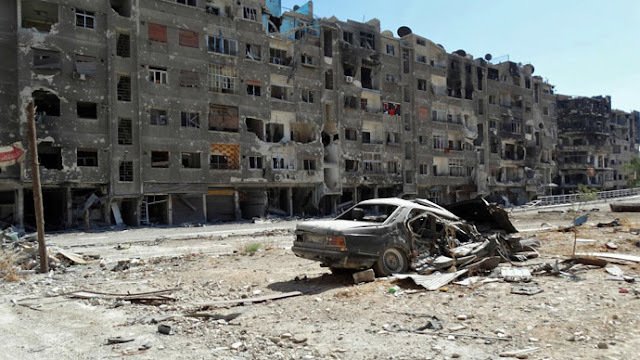 The district was the site of a chemical weapons attack in March 2013 when 30 people died. 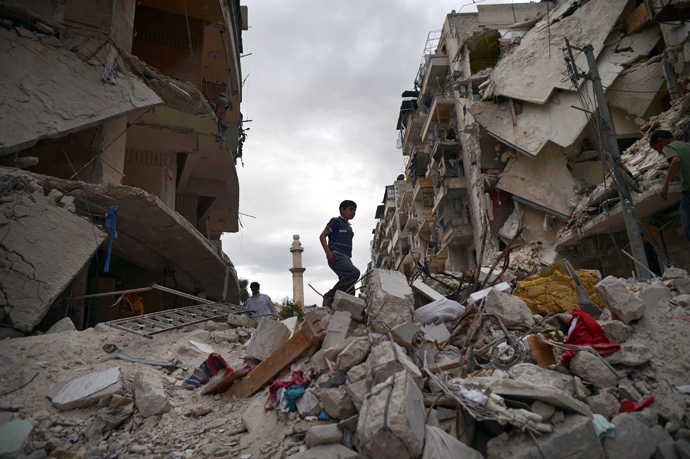 Russia’s findings so far have indicated that rebels were behind the incident. The US has declared that they have their own data suggesting government forces were responsible for the attack. However, Paulo Pinheiro, chairman of the UN commission’s inquiry into rights violations in Syria, said US records did not meet the standards required by the UN. UN Secretary-General Ban Ki-moon said on Friday that there will be “serious consequences” if the reports of chemical weapons usage turn out to be true. “Any use of chemical weapons anywhere, by anybody, under any circumstances, would violate international law,” Ban said at a scheduled event in the South Korean capital of Seoul on Friday. “Such a crime against humanity should result in serious consequences for the perpetrator,” he added. A spokesperson for Ban told Reuters on Friday that he wants a “thorough, impartial and prompt investigation” into the alleged chemical gas attack. Moscow has been continuing to monitor events surrounding the alleged attack, Russian Foreign Ministry spokesman, Aleksandr Lukashevich, said in a statement on Friday.